Learn how to install any Android app for added functionality and features. Did you know that your Amazon Fire tablet can be modified into a full-featured Android tablet with just a few steps? Millions of people already own one of these low-cost e-readers, and with about 30 minutes of effort, this branded device can offer the same functions and apps as a much more expensive tablet. The Amazon Fire tablet is built on a branded version of Google's Android platform called Fire OS, and unlocking its full potential is as simple as manually installing the Google Play Store. In its stock form, the Fire tablet only allows you to download programs from the Amazon App Store, which means you won't have access to your music, games, or video libraries that live outside of Amazon's ecosystem. By installing the Google Play Store, you've increased the capabilities of your Amazon Fire to rival those of say, a Samsung Galaxy Tab. Not bad for a device that starts at $50! 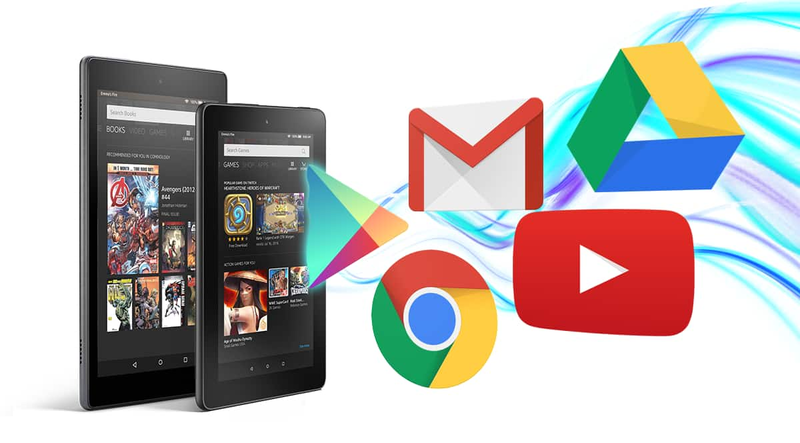 Our friends at LifeHacker have created an awesome step-by-step guide on how to manually load the Google Play Store onto your Fire tablet. One thing to keep in mind is that future device updates from Amazon may block this installation method, so it's best to act quickly. The entire process isn't overly technical, and LifeHacker has done a great job of laying out each step clearly. You may still experience the occasional software bug depending on what version of Fire OS you're using. With a little bit of virtual elbow grease, you've turned your e-reader into a powerful tool for productivity, entertainment, and more!